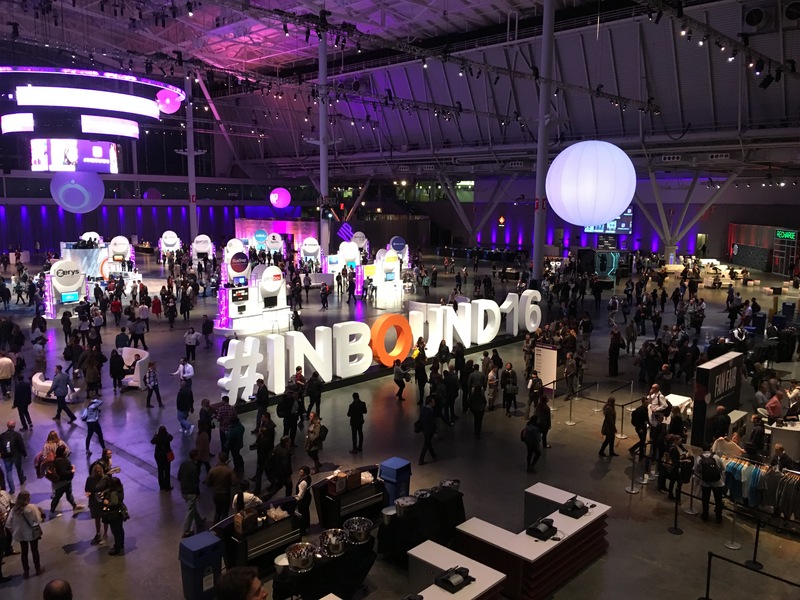 Figmints team members recently attended Inbound 2016, HubSpot’s annual conference on best practices and trends in marketing and sales technologies. 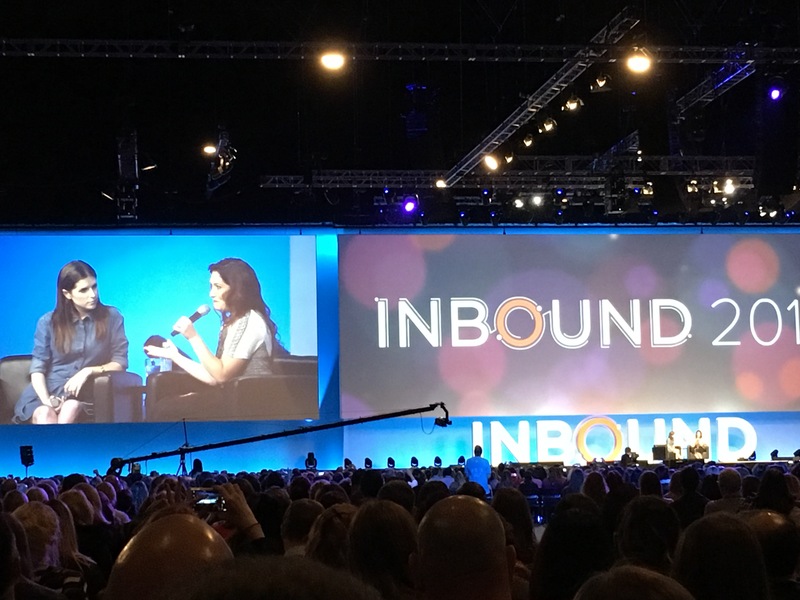 In the spirit of this season of giving, we felt it would be selfish of us to keep all the knowledge gained at the conference to ourselves, so we’ve put together a brief list of the highlights and key takeaways from Inbound. It comes as no surprise that technology has and is changing the way we do everything, from buying and selling to introducing ourselves to an instant, rapid-fire, digital world. The advent of mobile technology and new tools such as Facebook Live have further revolutionized the way businesses need to communicate their brands and messages. Carefully crafted text and witty taglines don’t cut the mustard in this age of visual saturation. Audiences want to see, in as real a way as possible, exactly who we are, and nothing communicates this quite like video. According to HubSpot co-founder Brian Halligan, “Fifty percent of your content next year should be video, not blogging and offers.” As one of the men who has put an inbound approach to marketing at the forefront of many businesses worldwide, we would be wise to heed this advice. In just about every breakout session and keynote presentation, one thing continued to come up — creativity. Whether it was author and New York Times journalist Charles Duhigg or Making A Murderer filmmakers Laura Ricciardi and Moira Demos , attendees were strongly encouraged to consider and elevate creativity, at both the personal and professional level. Being creative for many of the speakers has meant being courageous in stepping out to tell stories and break barriers. Every successful enterprise has creativity at its core. This point was hammered home by Girls Who Code founder Reshma Saujani, who spoke at the close of the conference as an accomplished woman who started an organization that enables girls across the U.S. to have access to computer training, aiming to close the gender gap and provide future jobs for women in tech. Inbound this year coincidentally kicked off on Election Day, which presented a unique opportunity for conference speakers and attendees alike to embrace the moment and pivot on some of the scheduled content. This stood out throughout the week as many speakers addressed their thoughts on the election results. Yet, it underscored an essential element of inbound — presenting content relevant to current events — in this case, the results of the election — is just as important as the business of marketing. If anything, the election results hammer home the first two takeaways mentioned above, and was a powerful, impactful story that needed to be discussed. This statement made by Larry Kim hit home with a lot of marketers. How many times do we spend a few hours crafting the perfect content, image, tags, and media to post to social, and it ends up with a sad number of likes and shares? Kim thinks that we need to use social media as “a catalyst to get the ball rolling.” To start, identify unicorns (high performing content) and donkeys (low performing content), then ditch the donkeys, and promote the unicorns. Ask, which content has high engagement? Now pay to promote that on Facebook and Twitter, and watch the fire begin to build! This idea was carried throughout multiple speakers. During his breakout session on Social Media Advertising, Michael Reynolds, President/CEO of SpinWeb, pronounced “We are not spending enough on social media!” He went on to explain that many perceive social media as a free add-on that should be given to the 20-year-old intern to handle. This is not a way to leverage the best marketing platforms of the 21st century. We need to start educating our clients, managers, and businesses that social media marketing must have a legitimate supporting budget in order to see success. It should not be relegated as a freebie add-on any longer. “Design is not art” can be a challenging paradigm to wrap your head around. Austin Knight – Senior UX Designer, HubSpot, explains that this paradigm exists because of a stereotypical understanding of what designers do, often reflected in statements such as “You are the designer, so we will leave it to you to make it look good,” and even by designers themselves — “Oh, everyone thinks they are a designer, but I am the expert here!” Those working with designers can often be afraid of offering feedback and constructive criticism, as it might offend the creator. But Austin broke it down very clearly and concisely. With this understanding, design is a collaborative process, taking into account user feedback, analytics, design patterns, usability, and business goals. When both the designer and the collaborators understand this, friction is alleviated, ego is diminished, and functions are improved. Finally, hearing celebrities such as Serena Williams, Michael Strahan, Alec Baldwin, and Anna Kendrick speak about their highs and lows in the media was very inspiring. Many have had cringeworthy moments throughout their careers and each shared times they fell into the keyboard warrior mentality — bullying back those who attacked them, and often recalling how it never resulted in anything positive. Conference-goers were encouraged to take their work seriously, but doing so with humility, and always taking the high road. Both Strahan and Kendrick went into detail about being asked to do work that doesn’t represent their personal or brand goals, and the cost of turning that down and preserving authenticity – it’s always worth it. Figmints is excited to announce the launch of Pick-Ease, a new eating utensil designed specifically for young children who are picky eaters.